Soft-shell crabs, pan-seared to perfection, are my weakness. I can’t remember when I first tried soft-shell crabs, but I know I was rather young and I know I loved them instantly. My husband and younger son thankfully share my love for this delicacy and as a result, we eat them whenever we can during the window when they are available. 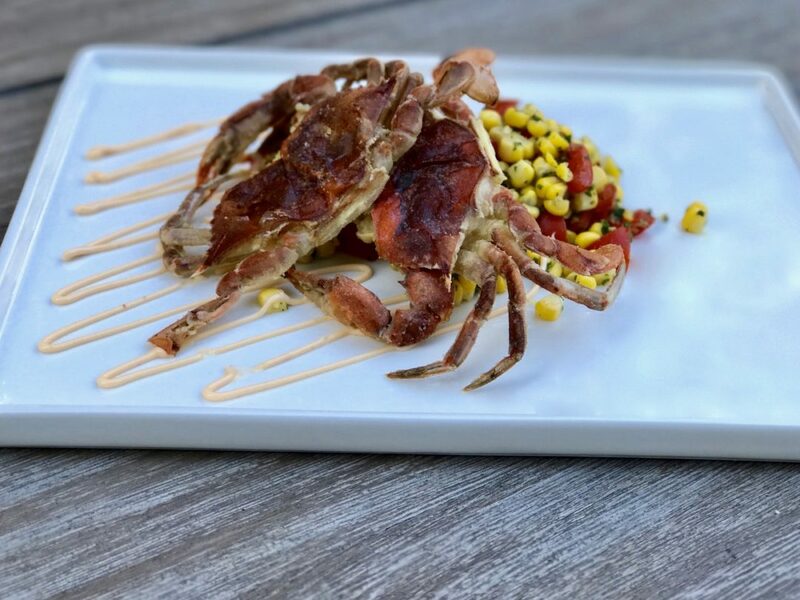 Soft-shell crab is a culinary term for crabs, more commonly blue crabs, that have recently molted to make way for a new, larger shell. To prepare for this molting process, the crabs form a soft inner shell underneath their hard, outer shell. They swell their body with water to break their hard shell, and slowly crawl out. The crabs need to be removed from the water quickly after molting otherwise, their new shell will begin to harden almost immediately and will be complete hard within a few days. The molting process is pretty interesting and can be seen here. For us diners, the entire soft-shell crab is edible, including the claws (I think my younger son enjoys this part the most). Only the mouthparts, gills and abdomen get discarded. 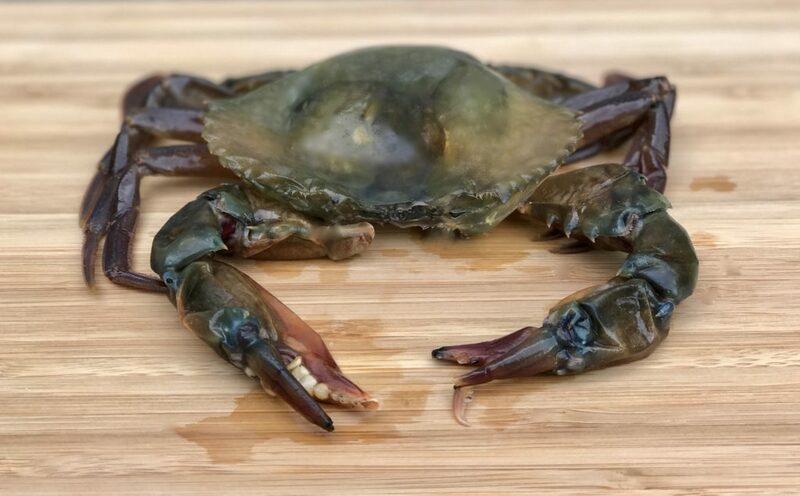 With a short season of April-September, soft-shell crabs can be hard to come by, are not cheap, and should be eaten fresh, ideally, the day they are killed. Cook’s Seafood, my favorite local seafood store, allows me to pre-order crabs, so I get them as fresh as possible. Often, if you ask, the store will kill and clean them for you, should you not be into that type of thing. To me, soft-shell crabs are best eaten lightly floured with Wondra flour and fried. 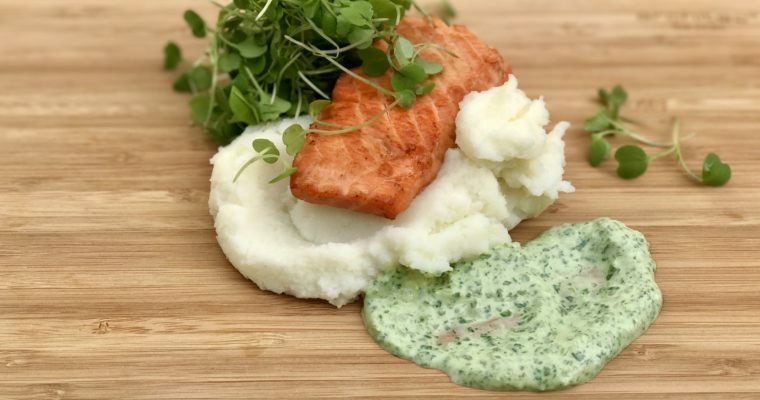 This recipe does just that. With Wondra flour (which is finely ground flour that has been treated so that it will dissolve instantly in water) you get a nice crispy coating on the outside, to complement the rich tender sweet crab meat on the inside. 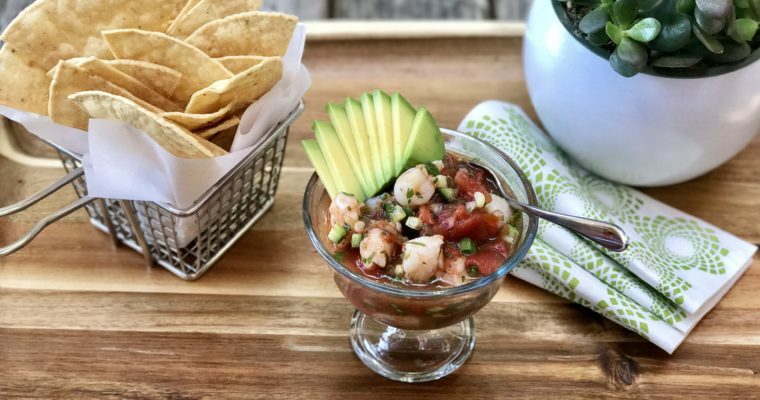 You can coat soft-shell crabs in various toppings if for feel creative: oyster crackers, panko bread crumbs, even potato chips are popular choices. But I find that using esoteric toppings takes away from their simplicity and goodness. Just don’t try to boil them as they will completely fall apart. Step 1 Line a baking sheet with paper towel and set aside. Step 3 Mix well to incorporate and set aside. Step 4 Carefully rinse each soft-shell crab with water and pat dry with paper towel. Step 5 Working one at a time, carefully dredge the soft-shell crabs in flour mixture, shaking off excess, but make sure crabs are completely coated. Step 6 Place a large saucepan over medium-high heat. Add the oil and when hot, but not smoking, add 4 crabs at a time, back side down, being careful not to overcrowd them. Reduce heat to medium if pan starts to smoke. Lightly sear the crabs until golden and crisp, about 3 minutes. Be very careful when searing the crabs as they have a tendency to spatter during cooking. Turn crabs over, add the butter and cook an additional 2 minutes. Step 7 Drain the cooked crabs on the prepared baking sheet. Repeat the cooking process with the remaining crabs. Step 8 Serve warm with spicy aioli on the side. Step 1 In a small mixing bowl, add the garlic, mayonnaise and hot sauce and mix well to combine. Season to taste with salt. Soft shelled crabs are not food. They are an addiction. A very happy one! I could not agree more Brian!!! !